I’ll get this out of the way: I’m a huge fan of Edgar Allan Poe’s works. I’m not sure when my fascination began exactly, but I can remember getting in trouble for reading his short stories in English class instead of the required reading assigned to us. Oops. Here I am, many years past high school and college, and I still read the works of Poe from time to time. However, reading and interacting with the stories are two different things. My imagination works great, but there are times that I’d like to see the stories come alive, right in front of me. 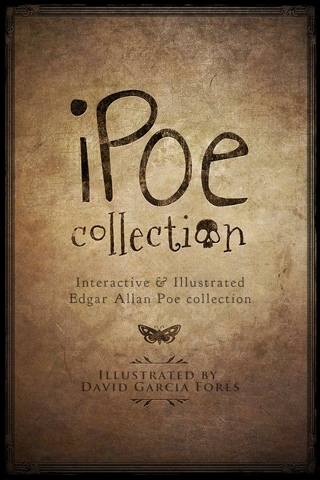 Enter iPoe – The Interactive and Illustrated Edgar Allan Poe Collection by Play Creatividad. 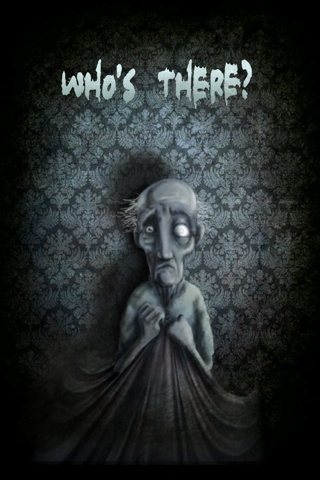 Rediscover Edgar Allan Poe as you’ve never imagined! iPoe is a new concept where music, illustration and interactivity combine to invite you to dive into the darkest corner of the human soul. Naturally, when I read that, I was very intrigued as to what this app had to offer. I’ve read every short story and poem and while my mind can picture the stories as I read them, I could only imagine what iPoe had to offer. The previews on the main website looked great, and the video definitely picked up my interest more. 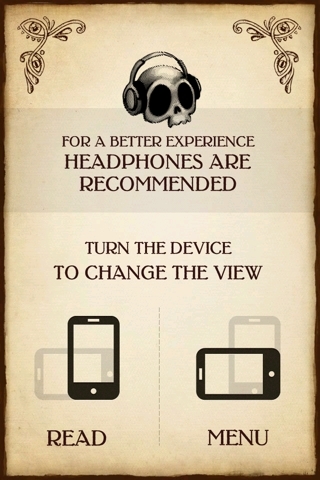 You’ll also notice that the orientation of the iPhone/iPod touch will determine what you’ll see. If you hold the device widescreen, you’ll get the menu screen allowing you to choose the story you’d like to read or to access the extra content. 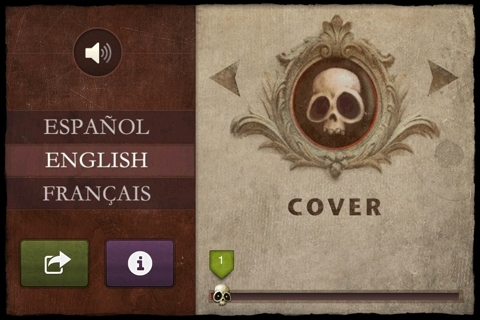 You can also change the language from this screen, if English isn’t your default language. At this time, Spanish and French are the two additional languages offered. After making your selection, you’re taken directly to the story. The words are not read to you; however, the music chosen for the story plays in the background, setting the mood and tone as you follow along. As for interaction? Well, as you’re reading, pages with illustrations come alive when you move your finger across them. I won’t spoil the fun though, that’s left up to you to discover. 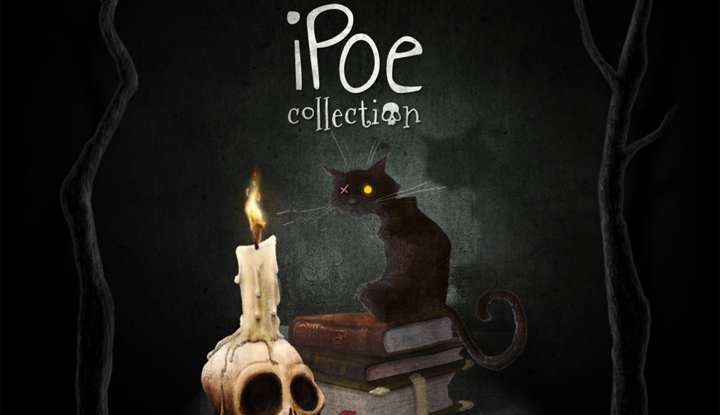 That’s just one story in the iPoe collection. The other 3 in this volume are all just as beautifully illustrated and set to some very haunting, yet appropriate, music as The Tell-Tale Heart. Using the app on the iPad is just as interactive. In fact, aside from the limited screen space on the iPhone and iPod touch resulting in the clever use of orientation for its menus, everything else is identical in how the app is presented to the user. 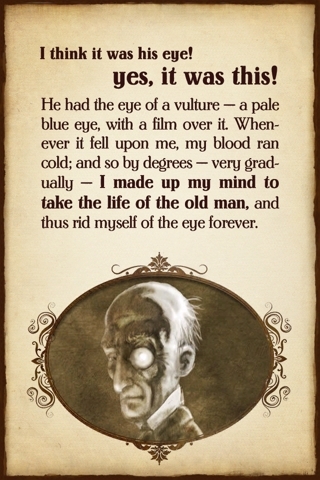 If you’re a fan of Poe, or are even a little curious about his works, you owe it to yourself to give the app a try. In fact, if you own multiple iDevices, $1.99 is a steal when you consider the app is native for iPad, iPhone, and the iPod touch.